It’s Friday and we’ve got one more “5 Minutes to Fantastic” video to inspire you. Get ready to take notes—today we’re going to build a checklist interaction in no time. Checklist interactions are a great solution when you need to list materials, products, ingredients, action items, and more. Thanks for checking it out! Hoping to use this template in your next project? Grab the finished download right here. 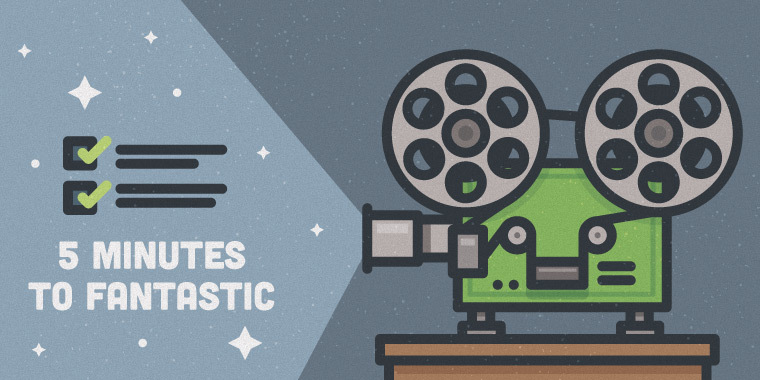 Keep checking E-Learning Heroes for all the latest videos, and follow along on Twitter with #5tastic. Love this design David. The clipboard is a beauty! This was extremely helpful. Excellent pace to follow along without too many details. Thank you! Love this interaction. I've tried to replicate it with my content, but no matter what I do, I can't manage to make the triggers work. I've looked at your template and tutorial thoroughly and can't spot where I've gone wrong. As far as I can tell, I've followed each step perfectly. The states work OK but only one layer trigger works. Any suggestions?